This 2-in-1 makeup remover and cleanser of Camellia Oil gently melts away impurities, even waterproof makeup, leaving behind pure, silky soft skin. Size: 150 ml | 5.1 fl. oz. A beautiful blend of Camellia and Rice Bran oils. A gentle, two-in-one makeup remover and cleanser that melts away even waterproof makeup, leaving behind purified, silky soft skin. Nutrient-rich Camellia and Rice Bran oils combine to beautify skin, emulsifying completely with no residue. The first step in our signature Kyoto Cleanse. All skin types. Non-comedogenic. Non-irritating. Non-sensitizing. Dermatologist tested. Pure One Step Camellia Cleansing Oil thoroughly cleanses the skin without stripping it of its natural moisture, leaving skin balanced and nourished. It does not contain mineral oil, so the liquid emulsifies completely and leaves no oily residue. Ideal for all skin types. Japanese Camellia Oil (Tsubaki): Richer in oleic acid than olive oil and an excellent source of Vitamins A, B, D and E and nourishing Omegas 3, 6, and 9, this featherweight botanical oil has been prized in Asia for centuries for its superb moisturizing and antioxidant activity. Hadasei-3™ Complex: Tatcha's proprietary trio of Japanese anti-aging superfoods—Green Tea, Rice and Algae—helps to restore healthy-looking, youthful radiance. Our Pure Formula Promise: Non-comedogenic. Non-irritating. Non-sensitizing. Dermatologist tested. Cruelty-free. Mineral oil, synthetic fragrances, sulfate detergents, parabens, urea, DEA, TEA or phthalates. Begin with dry hands and a dry face. Apply 1-2 pumps into the palm of your hand. Massage into skin in circular motions. Rinse with warm water. The oil will emulsify into a milk, melting away makeup and impurities effortlessly. Safe for use around the eye area. Can be used morning and night. 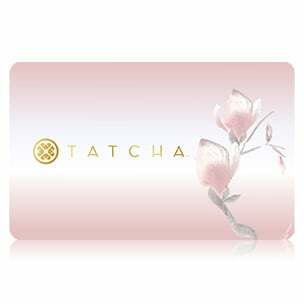 For best results, follow with the Tatcha Rice Enzyme Powder. Pure One Step Camellia Cleansing Oil is rated 4.8 out of 5 by 278. Rated 5 out of 5 by Evie from The only oil cleanser I tried that did not break me out I am very skeptical about the oil-based cleansers, as I have sensitive, combination, acne-prone skin that tends to break out from almost everything, especially from oils (even cleansing oils). However, I had a nice experience with a sample of cream from Tatcha. When I found a good priced travel size set with this oil, I decided to risk it. So far it is the only oil that does not break me out and removes makeup reasonably well. I cannot repeat enough: the only oil that does not break out my sensitive and acne prone skin, which tends to break out from any other cleansing (or non-cleansing) oil, even the ones that are advertised as acne-friendly. Rated 5 out of 5 by A. Slade from Replacing my other product I've never used anything quite like this. I am a die hard Lancôme Bi Facil user and have been for the last decade. I had just kind of accepted that to fully remove my makeup I would have to deal with an oily residue. This product has completely changed that. Not only does it remove all of my makeup, which tends to be a lot, I can use it in my waterline to remove waterproof eyeliner with no irritation and it rinses clean. It just dissolves. No residue. No need to use another cleanser to get it off. It's truly unlike anything I have ever used. It smells amazing and does everything you hope that it would. It's officially replacing my Lancôme. 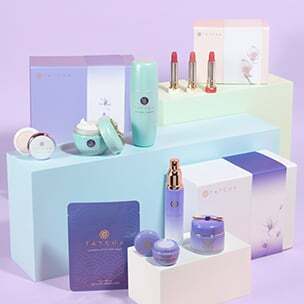 Rated 5 out of 5 by Anonymous from Awesome and more Awesome I am in love with the superior performance of TATCHA products. They're not inexpensive but they really deliver, so the products are a wonderful value. I can't imagine a cleanser that could be better than this one. It cleanses quickly, rinses quickly with no residue and doesn't strip the skin. It doesn't have any perfumes in it, so it is really gentle. Most impressive, this oil cleanses the pores better than any other product I've ever used. Cleaner pores are smaller pores! After one use my face was smooth, my pores reduced in size and my hyperpigmentation started to significantly improve. I see my skin getting better more and more each day. Rated 5 out of 5 by Jennifer from Great on Combination Skin! My skin is combination (oily t-zone and dry cheeks and forehead) so was worried when I received a deluxe sample in my Sephora Play box that this would feel heavy or clog my pores. Was so pleasantly surprised to find that it cleaned my skin, did not clog my pores or feel heavy and made my skin very balanced and happy! I'm in my mid-40's and rosacea-prone and found that this cleanser calms my skin down and gets it very clean without being harsh. It also distributes very easily and I was surprised when a very small amount of product covered my whole face. Now have the full-size product and enjoy using it each morning and evening prior to the Tatcha Indigo enzyme polish. 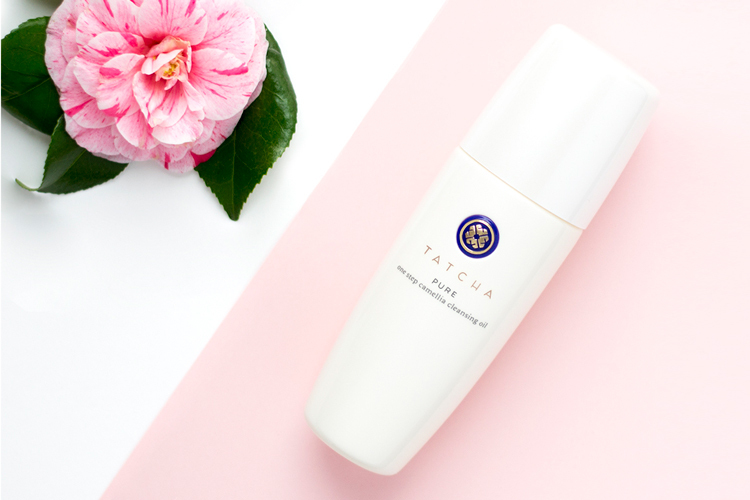 Rated 5 out of 5 by Tonya from Regenerative Camellia Cleansing Oil I needed nudging from the amazing Tatcha representative to try this cleansing oil. Logic told me oil and oily skin surely would result in an abundance of zits and my pores would look like craters on the moon. And, my aging skin didn't want to court any of that. Still, I agreed to give it a try. I don't understand why this cleanser likes my persnickety skin, but it does. It is a kind cleansing step, which I follow with the Rice Enzyme Powder. I love the camellia fragrance that greets me morning and night and the results are regenerative to my skin. Tatcha has created a cleansing ritual that must be experienced to understand. Rated 5 out of 5 by Anonymous from The best product I have photo sensitive skin and although I'm quite happy buying my Korean and French products I thought I'd give this a try. I was not disappointed! The first time I used it my skin retained it's moisture, I still wasnt convinced since other products gave me the same results. It was only after I was using it for a week that I noticed considerable improvement in my skin. Normally I have to apply moisturizer and spritz facial mist throughout the day to keep my skin from drying out but I no longer have to. I cleanse in the morning, apply my moisturizer then my sunblock and I'm set!! I will not use any other product now and I highly recommed it for those with extra sensitive skin. Rated 5 out of 5 by Anonymous from Essential for every routine! First off, this takes all your makeup off which is ridiculous for a cleanser to do. I've worked in the cosmetics industry for years now and this is the only cleanser that actually removes makeup, the others that claim that flat out don't. Secondly, I've recently gone off a medication (that has made me break out in the most horrifying way ever every time I tried to go off it) so normally my skin would freak out, but this cleanser has kept my skin so balanced and clean that the breakout I was expecting was in reality about 3 tiny pimples. I will never use anything else to cleanse my skin ever. Everyone needs this whether you're oily or dry, your skin will love it. Rated 5 out of 5 by Guadalupe from True blackheads killer! I've been using the Pure Camellia Cleansing Oil since October 2017 and I'm happy to report that my sad case of prominent blackheads around my nose is a thing of the past. This product was recommended by a Tatcha specialist over the web chat; after responding a few of his questions he determined that my skin was dehydrated and that was the origin of my blackheads... I thought: yeah, sure, you don't even haven't seen me in person, dude! But in a leap of faith I bought it and I've been using it every day alongside the Silk moisturizer. My skin was indeed dehydrated and the blackheads are officially GONE FOR GOOD! Is it safe for contact lenses? Yes, it is gentle on the eyes even if you&rsquo;re wearing contact lenses. Can you use this as a cleanser alone or is it necessary to use the rice enzyme powder after? I have permanent eyeliner; &nbsp;would this cleanser cause fading as some with anti-aging ingredients apparently do? Thank you for your question! The One Step Camellia Cleansing Oil is a wonderful companion to your sonic cleansing device. Apply the oil to a dry face with dry hands and massage for 20 seconds. Wet the brush of your device and use it over the oil, then rinse with warm water. Since the device you are using provides ample exfoliation, you will not need to follow it with the Rice Polish. Instead, alternate their use, by using one for day and one for night. We hope this helps! Will the Cleansing Oil make me break out? No, it emulsifies and washes away completely, leaving skin oil-free. I see from the packaging that this is used at night. Is there something I should be using in the morning to cleanse when I don't have makeup on or will this work as a good morning cleanser? Great question! This Cleanser is perfectly fine to use during the daytime as well even without makeup or any heavy oily residue.